Hearing the word "sold" drives us. The premiere source of vehicles for wholesale buyers is also home to some incredible careers. So what’s on the auction block? Great benefits, salaries, support and plenty of opportunities to advance. AutoNation Auto Auction is where you’ll have everything you need to take your career in a new direction. Join our team and become part of America’s Largest Automotive Retailer. "It's an exciting time to be at AutoNation. We're expanding into auctions, launching our own product lines and opening standalone pre-owned car sales locations. This is a company that's moving in the right direction"
For over 20 years, AutoNation has been the best place in America to buy and service new cars and trucks. We've built a name that people trust, and an expertise that customers have come to expect at all of our stores. 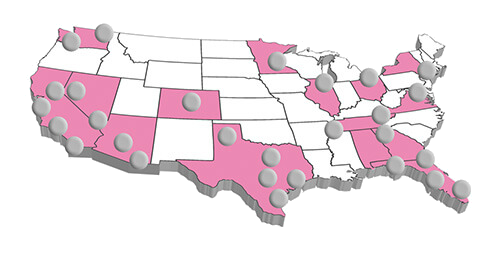 As the nation's largest automotive retailer, we’ve extended our brand into wholesale automotive auctions – called AutoNation Auto Auction – and we’re continuing to expand our presence in the western region and beyond.